All car, truck, RV, marine amplifiers and repeaters listed below are compatible with your Rogers service. Rogers Vehicle Signal Boosters for cars, trucks, RVs, boats and other vehicles. Rogers has some of the finest bundles or combo plans including home phone, television and internet. It is convenient when a company caters to multiple services as the bundles do save money, and can also bring in many more features than what is available in standalone or exclusive plans. While you may be tempted to sign up for a bundle with Rogers or perhaps you already have one, the network coverage will have a bearing on the quality of service. DTH (Direct To Home) may not be much of a concern considering the infrastructure setup at every site and the technology used. Wireless cellular network and internet will be of a concern if the signal strength in your area is not sufficient. Rogers has one of the most trusted networks in Canada but whether it is 2G and 3G or the more advanced 4G LTE networks, your HSPA+ speeds and seamless connectivity while making calls or even when the phone is not in use will depend on the network reception at the time. Should you be unhappy with the perennially poor coverage, you need to get a signal booster. Coverage could be an issue at your home, office or when you are driving. Being on the move is always a tad challenging for networks, when the existing coverage in an area is poor to begin with. To overcome the shortcomings, you would need a Rogers signal booster for car. If you are aware of the signal boosters for home that are compatible with Rogers' network, then you would know that the boosters are categorized according to their coverage area. When it comes to a Rogers signal booster for car, it is categorized based on the number of users, whether it is wired or wireless, the radius of coverage, and how much farther it will pull signals from. A Rogers signal booster for car will also offer square footage of coverage but since we are talking about vehicles on the move, it is the radius from the device that will be the determining factor. For convenience, we have grouped signal boosters for car into single user and multiple wireless users. Single user cradle signal boosters for Rogers cell phones in car or truck. weBoost Drive 3G-S (470106) Cradle Booster Kit is great if you wish to use a booster just for yourself, when you're driving around town or traveling out of the city. This Rogers signal booster for car comes with a cradle so you would have to dock in the device. Since it is not wireless coverage, it does not matter how large a car is, or where you install the device in the vehicle. You would have to dock the device and you would get a signal boost of up to 23 dB. There is no coverage area here as physical connection is necessary. This Rogers signal booster for car is irrelevant if you need multiple user boosters, or if you want a wireless system but it is inexpensive and can be an imperative device for many people who spend long hours on the road, often alone. Cradling the device is also good for the battery as it wouldn't have to consistently look for better signals and it wouldn't have to remain connected with a booster wirelessly, which also consumes a bit of power. Saving battery is quintessential when you are on the road. 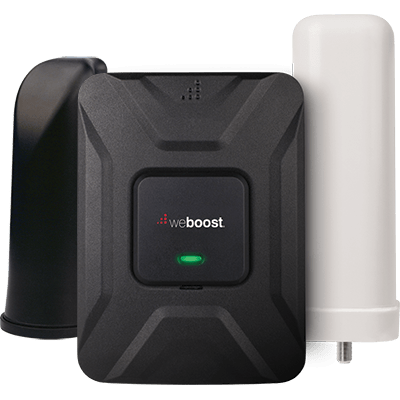 This Rogers signal booster also has a 4G variant, called WeBoost Drive 4G-S (470107) Cradle Booster Kit and it is backward compatible so will work for boosting 2G texting & voice, 3G, 4G, 4G LTE, and 4G LTE Advanced data speeds. Wireless signal boosters for Rogers cellular phones to boost signal for multiple users in cars and trucks. • weBoost Drive 3G-M (470102) Wireless Booster Kit is compatible with Rogers 2G and 3G networks. It has ability to strengthen the signals by up to 50 dB. It increases network availability, improves the quality of the calls, outages can be averted, and the coverage is good enough for the booster to be used in most variants of personal cars and even on boats. The Rogers signal booster for car can be used by two or four people at a time without compromising on the extent of signal boost that each would receive. The device has a 4G variant, called weBoost Drive 4G-M (470108) Wireless Booster Kit. This variant boosts 2G text & voice signals as well as speeds up 3G, 4G, 4G LTE, and 4G LTE Advanced, if hindered due to low reception. All other features are the same. • weBoost Drive 3G-X (470111) Most Powerful 3G Wireless Booster Kit is compatible with 2G and 3G networks. It can increase the signal strength by as much as 50 dB. The most noted advantage of this booster is its consistence. Many boosters don't manage to keep up the signal strength, especially when you travel in areas that have historically received very poor signals. Even if the network reception is horrible at a particular site or on a certain route, you will get consistently workable signal strength with this Rogers signal booster for car. • weBoost Drive 3G-X NMO Antenna (470411) Booster Kit works on 2G and 3G networks. It can improve the quality of calls, real time correspondence of texts, it can increase the data speeds and can also ensure consistently strong signals to maintain accessibility. The Rogers signal booster for car can increase the signals by up to 50 dB. There is an antenna that must be drilled. You cannot magnetically mount it on top of car, so factor this in. Advantage for this is durability and practically zero risk of loss or theft. The booster has ability to cover an area of six feet radius all around it. Hence, the installation of this booster will determine where exactly in the car, or on the boat you would get the enhanced signal strength. Strategic installation is always crucial when we talk about any Rogers signal booster for car. It is also significant when you install a booster in your home, office or building. • weBoost Drive 3G-XM (470311) Marine Booster Kit is widely used on ships, boats and marine vessels. If you own a boat, yacht or any kind of marine vessel, then you need strong and consistent connectivity. When you are on the high seas, or even sailing across a lake, you would want to be accessible to the world beyond the waters. 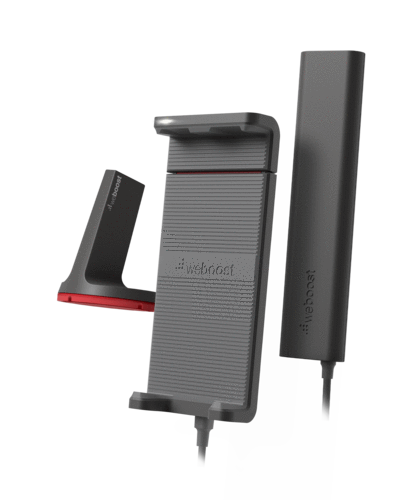 The only way to ensure perennial connectivity is to use a device that can offer consistent signal strength boost, of up to 50 dB, and can offer substantial coverage. The 3G-XM Marine Booster has a six feet radius in which area you would get the maximum boost within your vehicle. Even beyond the six feet radius, your devices may receive a substantial boost to make a difference. 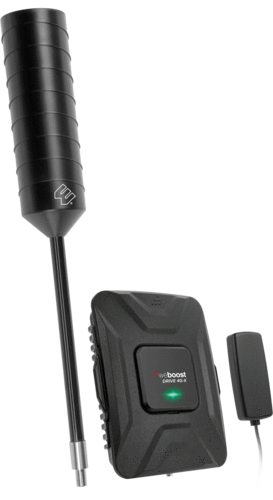 • weBoost RV 4G (470201) Signal Booster Kit For RV is, as the name implies, an ideal booster for recreational vehicles. Recreational vehicles are larger, there are many more users than what you may have in a compact hatchback. Furthermore, such vehicles are driven on long routes, often to remote locales and across terrains that may not have any network coverage at all. This Rogers signal booster for car works with Rogers 2G, 3G and 4G LTE Advanced networks. It has a coverage area of 1,500 square feet when the signal is strong outside, and the maximum gain is about 60 dB. When the signal is weak outside, the coverage would reduce to less than 1,000 square feet in the recreational vehicle. Rogers Signal Booster for Car - Summary. Factor in the size of the car you have, the number of users requiring the necessary signal boost, the quality of network reception you get normally, and the kind of terrains or routes you would take to determine the coverage and the extent of boost you would need. Accordingly, choose a Rogers signal booster for car.